August 13, 2016 Isaac J Bediako 0 Comment Dr. Anthony Yaw Baah has been elected by popular acclamation as the new Secretary General of the, Ghana Trades Union Congress (TUC). Dr. Anthony Yaw Baah has been elected by popular acclamation as the new Secretary General of the Ghana Trades Union Congress (TUC). This was at the 10th quadrennial delegates congress of the labour organization held at the Kwame Nkrumah University of Science and Technology (KNUST) in Kumasi. 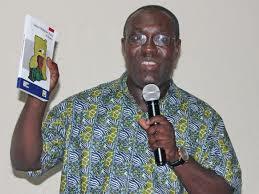 He replaces Mr. Kofi Asamoah, who having served out his two four-year term of office became ineligible for re-election. Dr. Baah until his elevation was the Deputy Secretary General and had also previously served as head of the policy and research department of the Congress. Other national officers elected by the delegates were Mr. Joshua Ansah, Deputy Secretary General, the Reverend Richard Yeboah, Chairperson, Mr. Alex Nyarko Opoku, first Vice Chairperson and Ms. Philomena Aba Sampson, second Vice Chairperson. They would all be serving a four-year term. Dr. Baah pledged not to disappoint, saying, they were going to work with much energy and passion to help improve the working conditions of the Ghanaian worker. He called for unity in the various labour unions in order to make the TUC formidable to champion the cause of workers.